Great blue heron (Ardea herodias), Madison, Wis., Oct. 15, 2017. 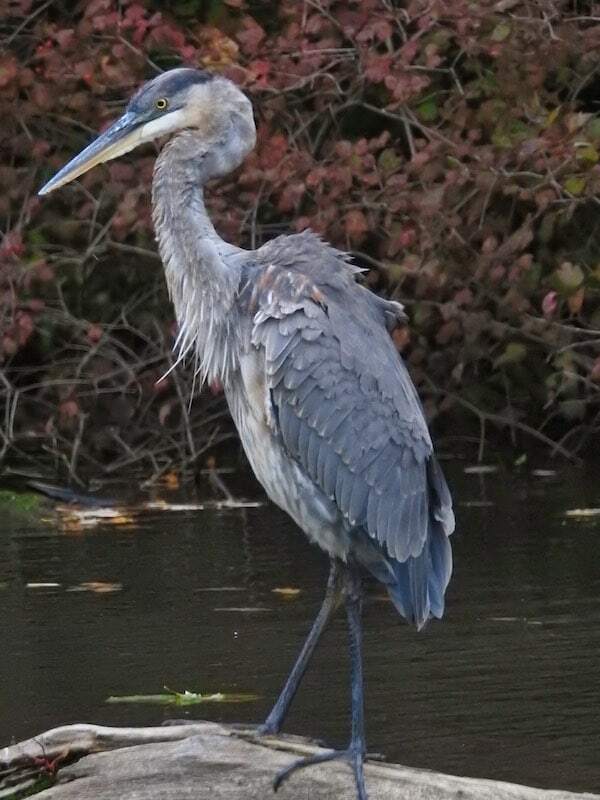 Today is a photo post in praise of the great blue heron (Ardea herodias), the largest heron in North America. It can be found from southeast Alaska and southern Canada down through Mexico and the Caribbean to Central America. Wisconsin is toward the north of its winter range, though I believe this particular individual has continued southward since I haven’t seen it in the past few weeks. I remember watching these birds as a kid in Virginia, where you could sometimes find one hunting for crawfish in the creeks around town. 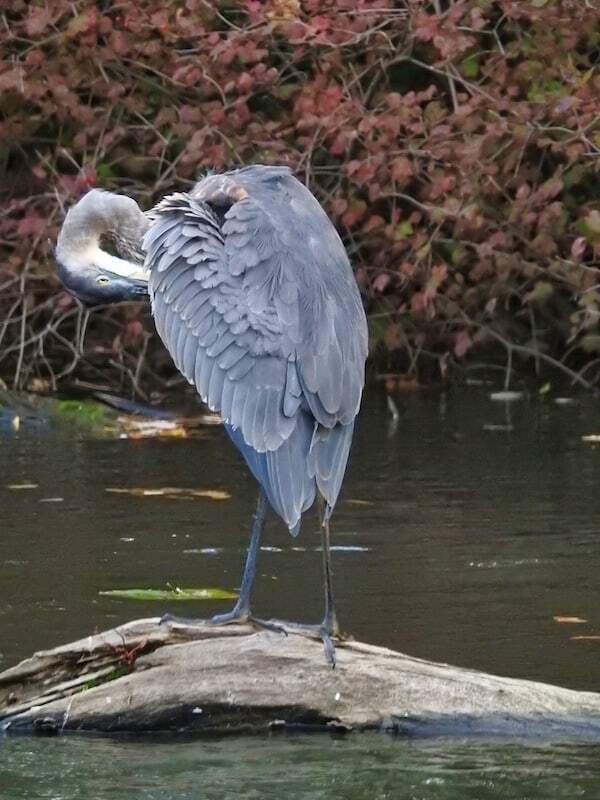 Unlike brown creepers and woodpeckers, great blue herons make excellent photographic subjects because they stand still for long periods of time as they wait for prey to swim past them. Read more of my heron posts here.